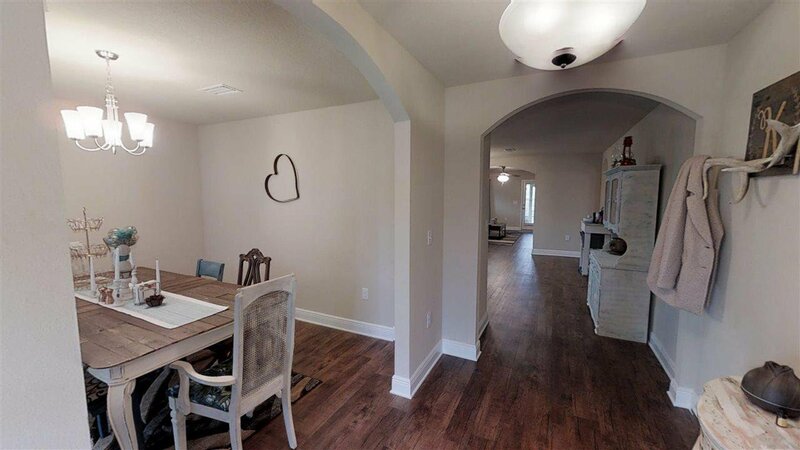 Come see this gorgeous like new craftsman home with an open floor plan and situated just minutes from some of Pace's best schools. 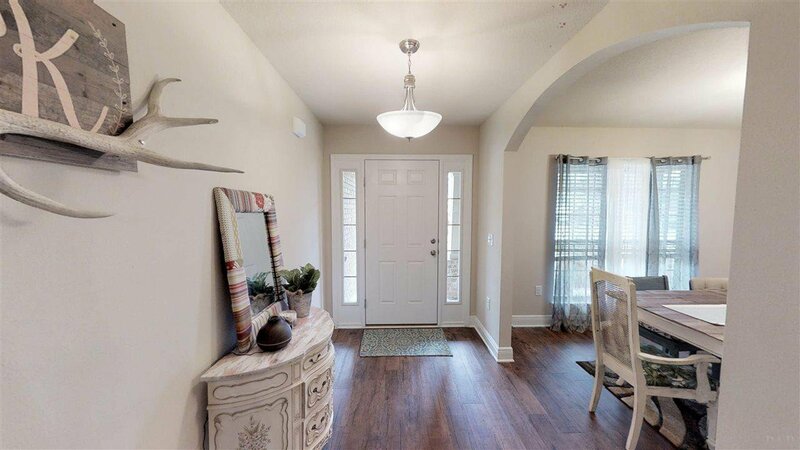 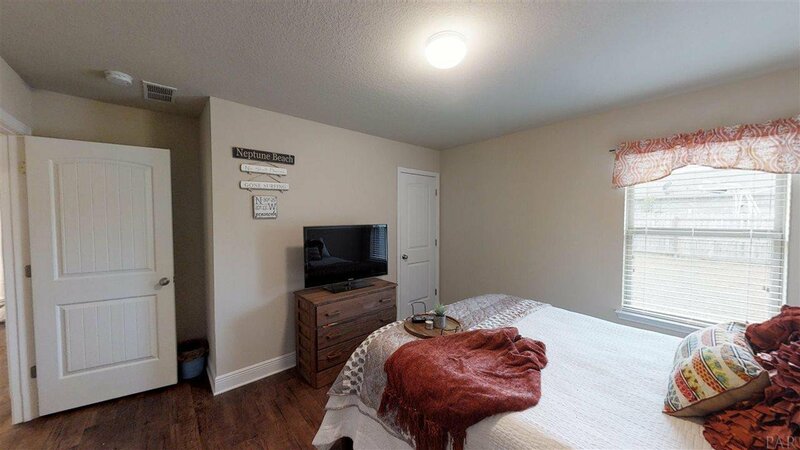 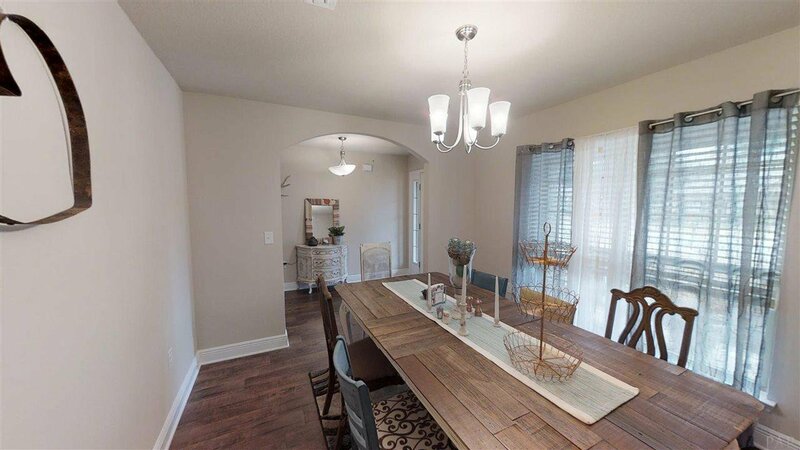 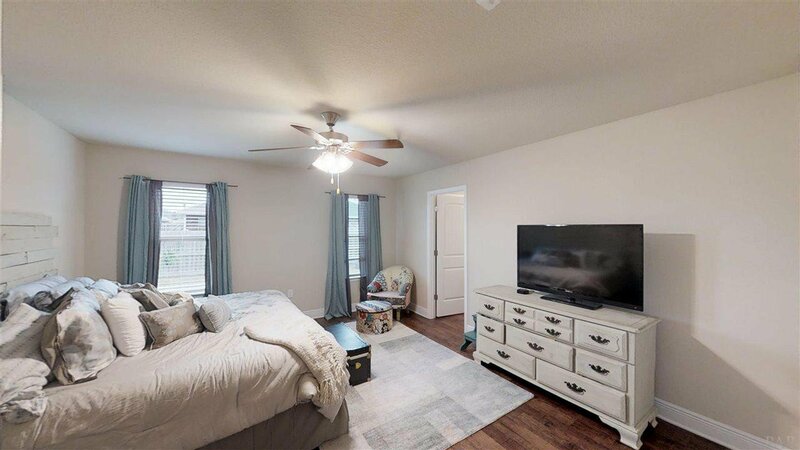 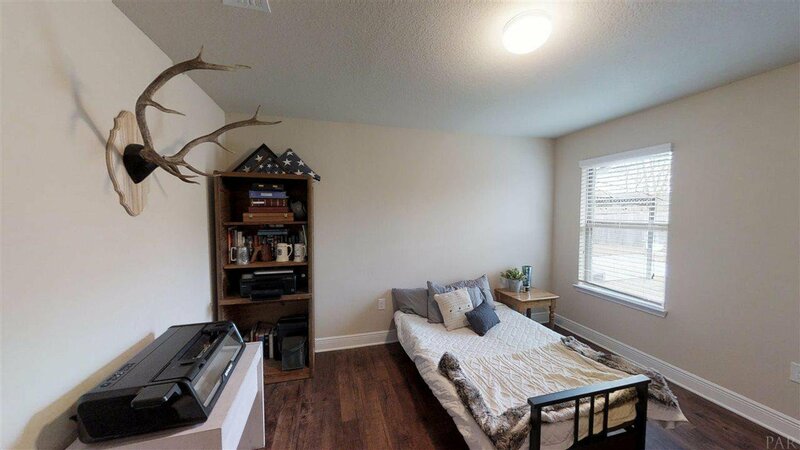 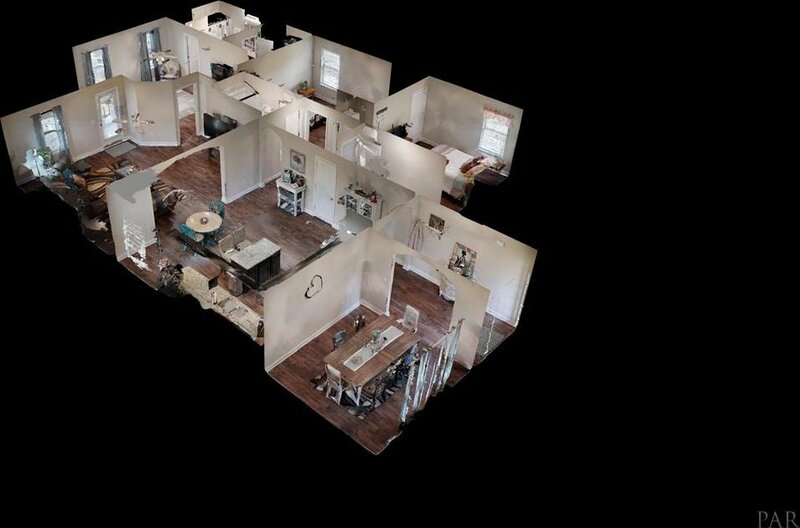 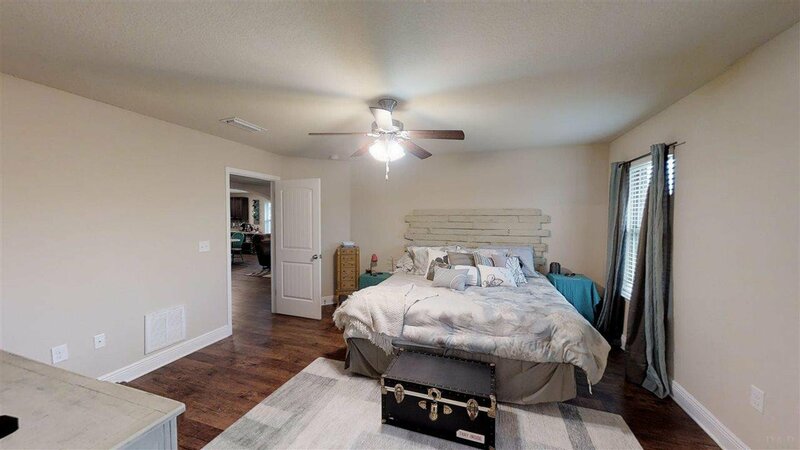 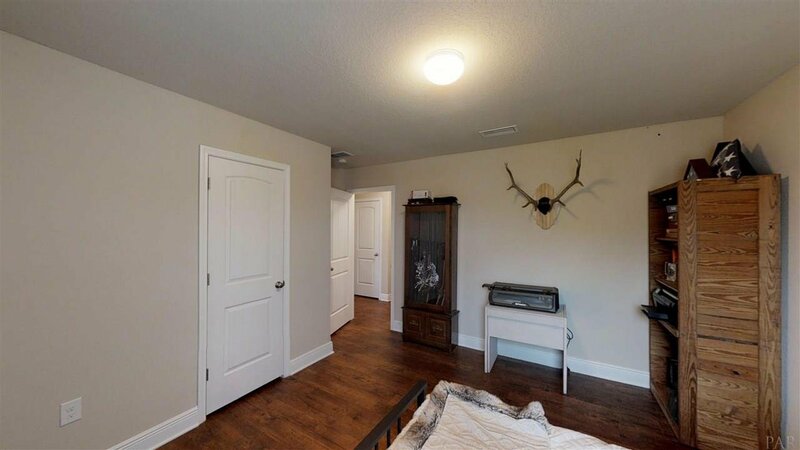 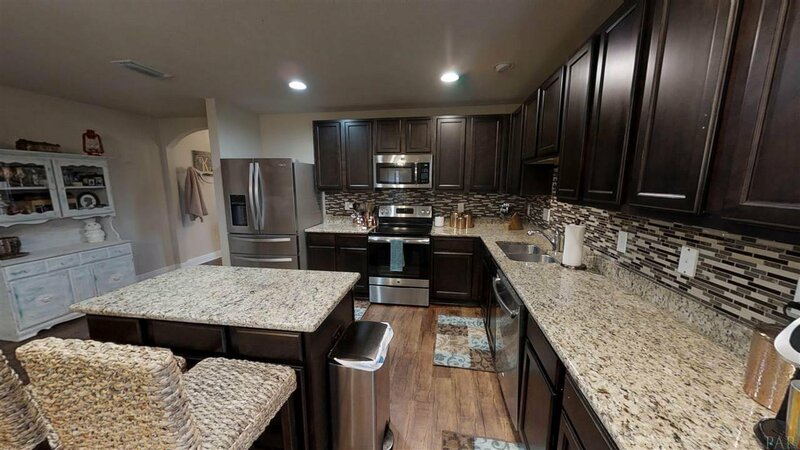 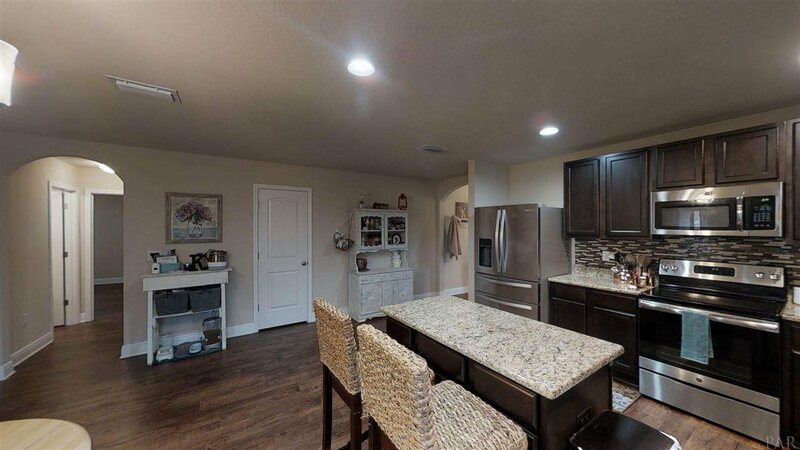 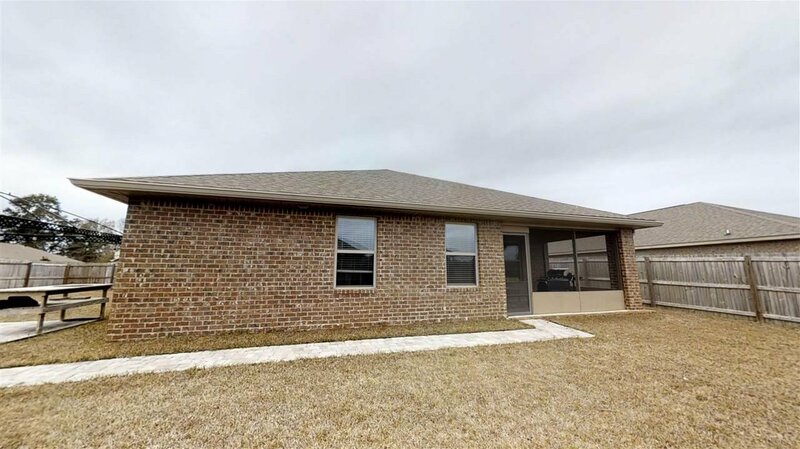 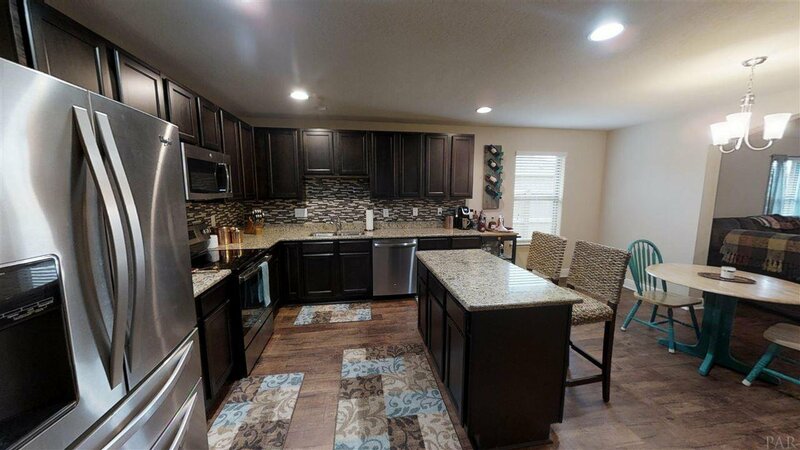 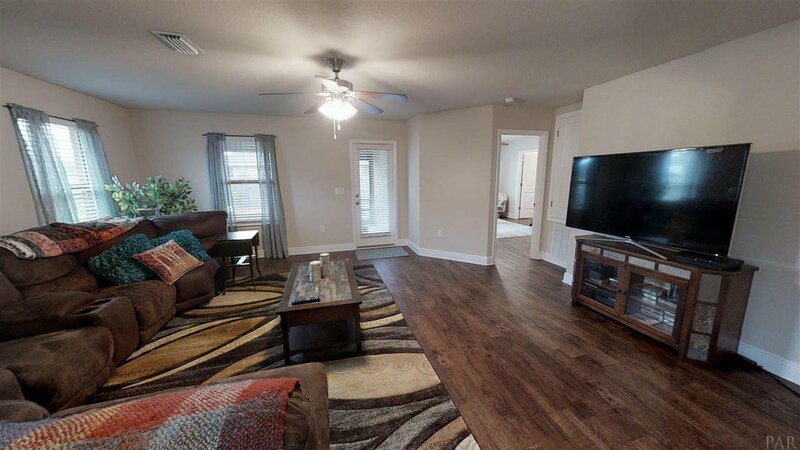 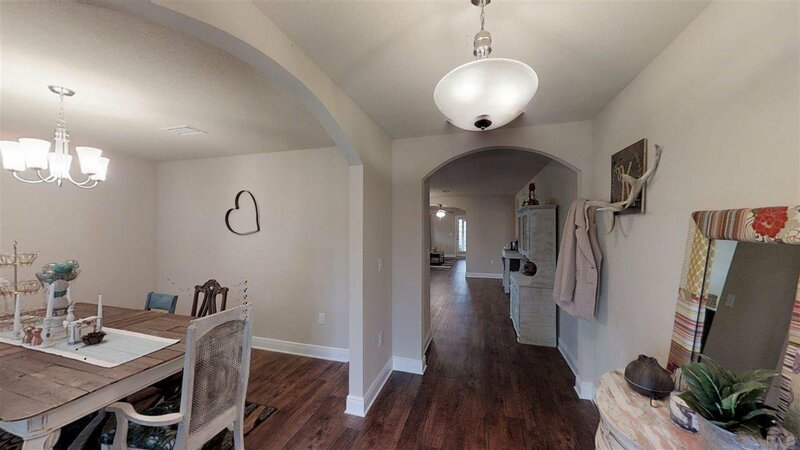 This spacious home offers 3 large bedrooms, 2 full bathrooms, beautiful wood-look flooring, and a large kitchen and living room space; perfect for entertaining. 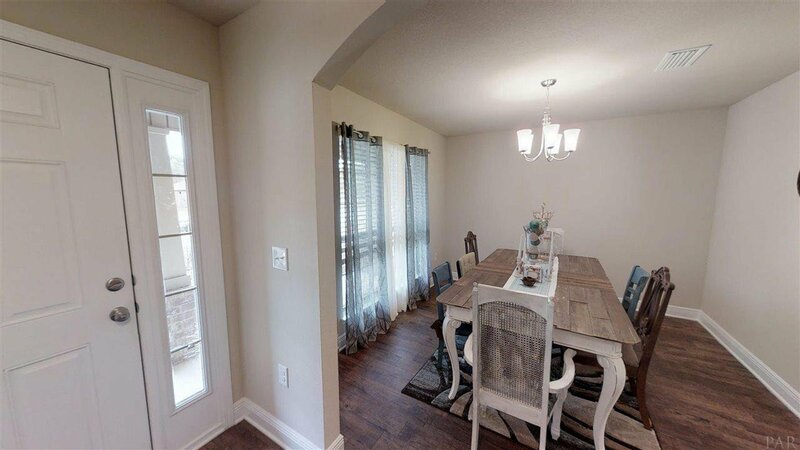 A large dining room is situated off of the entry way and provides ample space for a full gathering of family and friends. 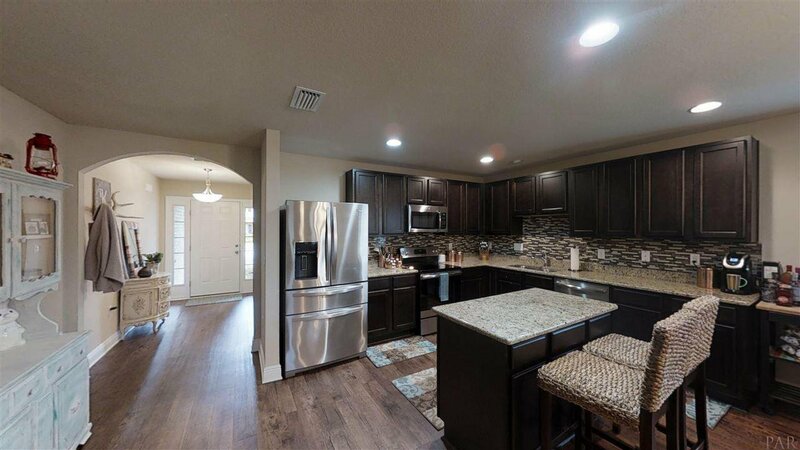 Moving down the entryway hall leads you into an open and bright kitchen that boasts beautiful granite counter-tops, a stunning tiled backsplash, ample dark espresso cabinets along with a pantry for storage, an amazing center island with more storage and space for seating, with an additional breakfast area perfect for your morning coffee or breakfast. 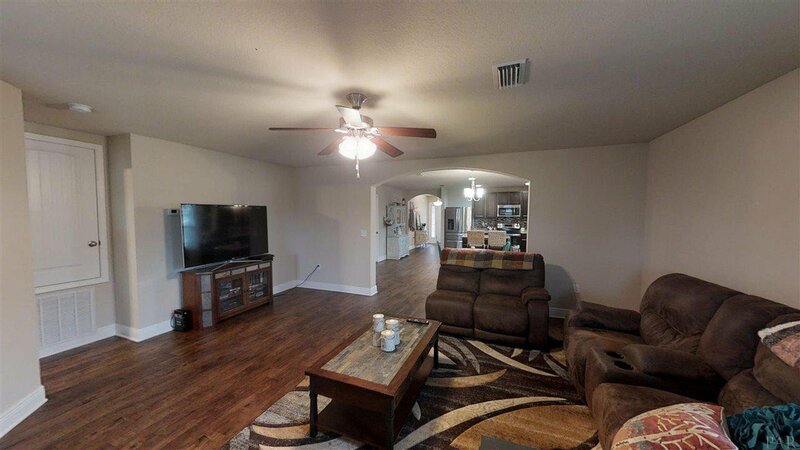 The huge living room provides plenty of space for your furniture and electronics and includes multiple windows which bring in loads of natural light. 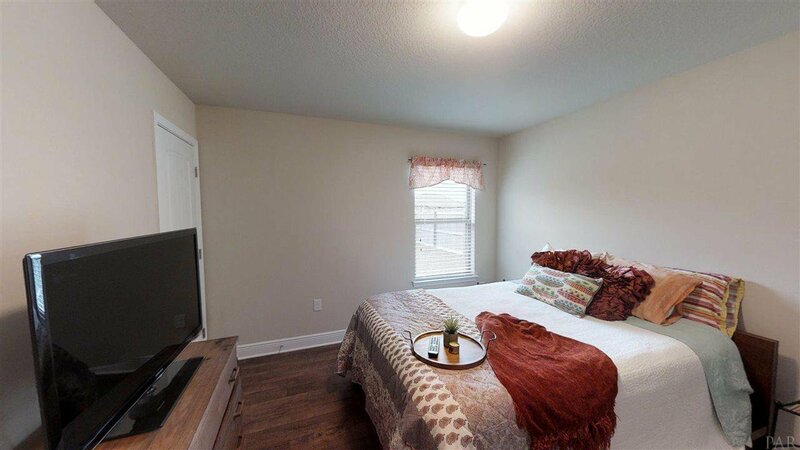 The master bedroom, situated at the rear of the home, is spacious and bright. 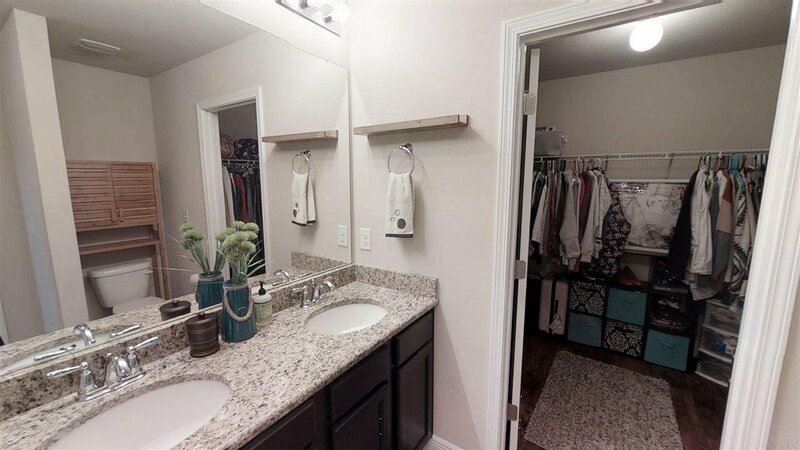 The attached master bathroom includes a large walk-in closet, double vanities set into granite counters, and a separate linen closet. 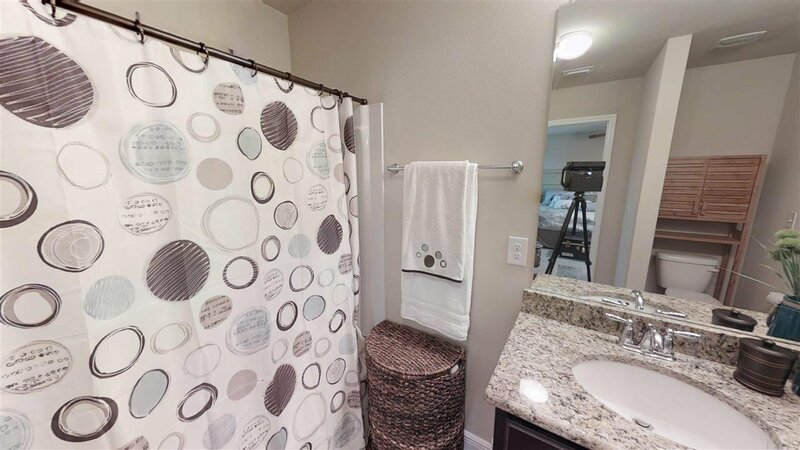 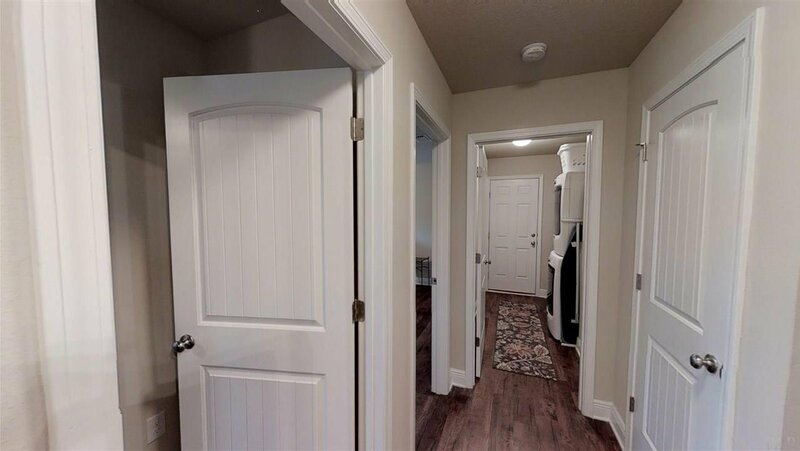 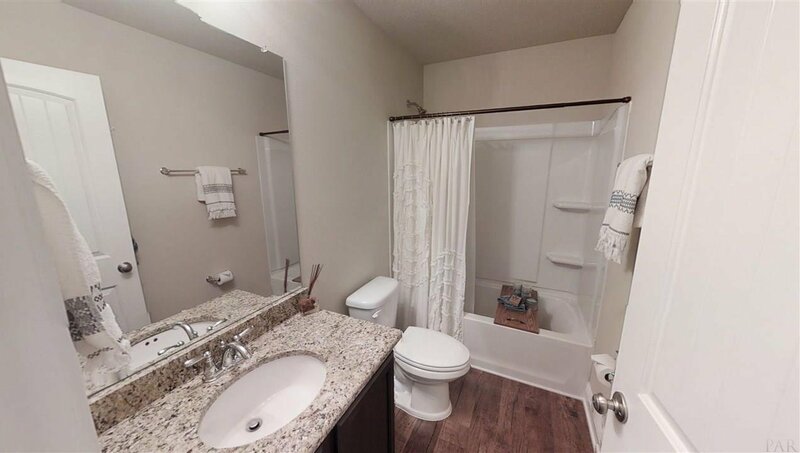 The remaining 2 bedrooms are generously sized with deep closets and share a second bathroom with granite counters and large tub/shower combo. 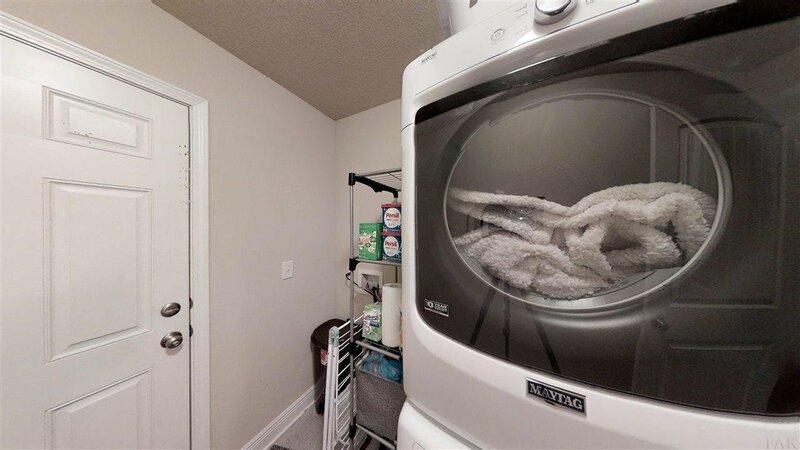 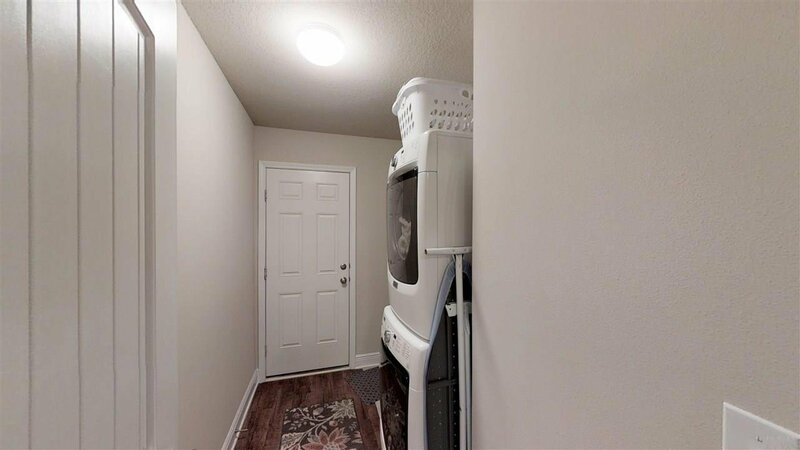 An interior laundry room is located just off the 2 car garage. 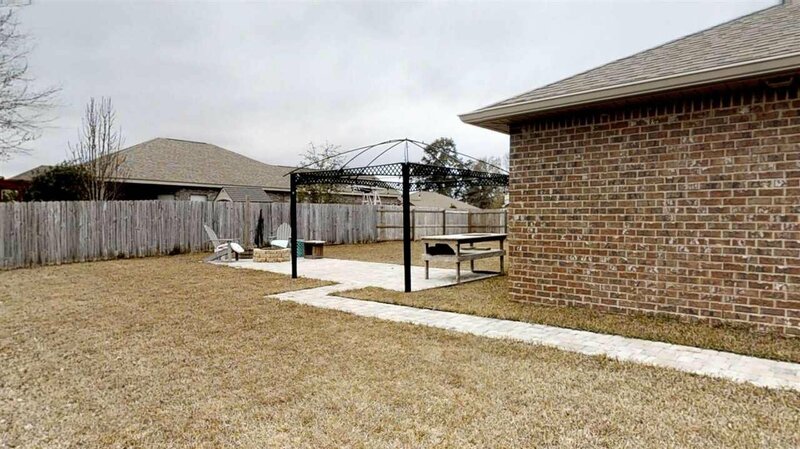 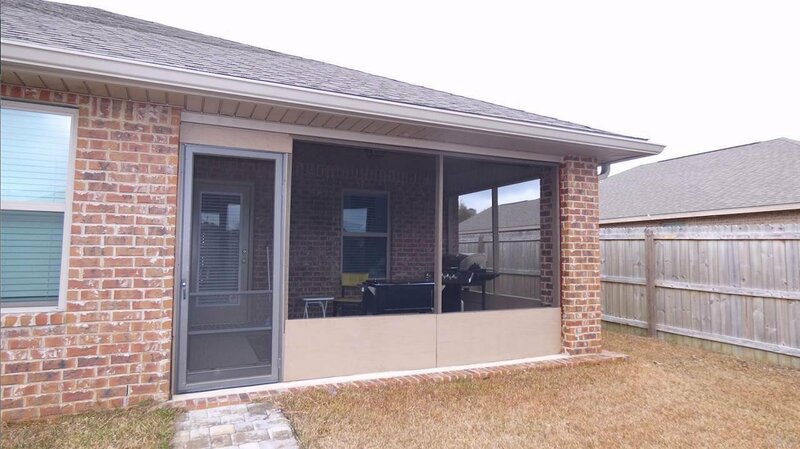 Out back, you can enjoy the summers cooling off in the screened in back porch, or step out to the additional open patio area and enjoy grilling out and entertaining guests around the fire pit from the privacy of your fenced in backyard. 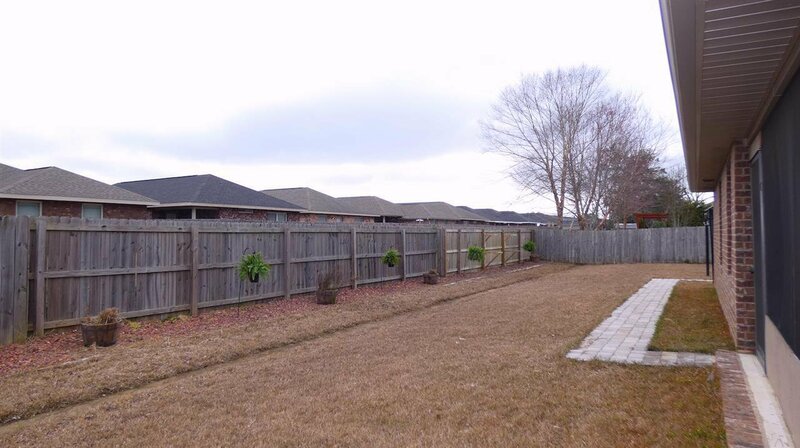 Schedule a private showing of this house soon!